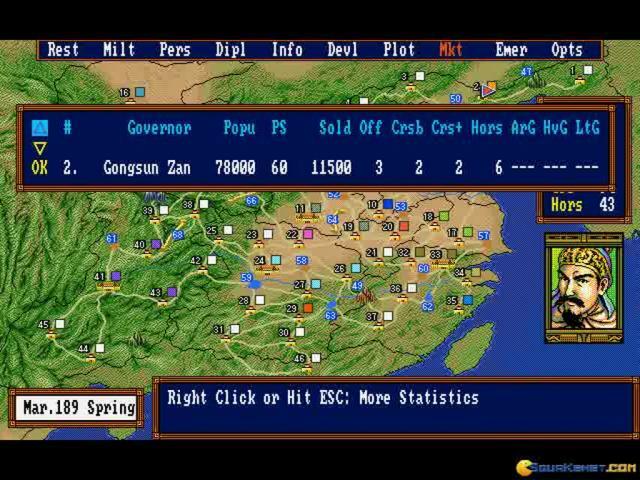 Romance of the three Kingdoms has definitely evolved a lot during the years; thus, with this third release, Romance of the three Kingdoms 3, it was already an important player in the strategy/wargame realm. 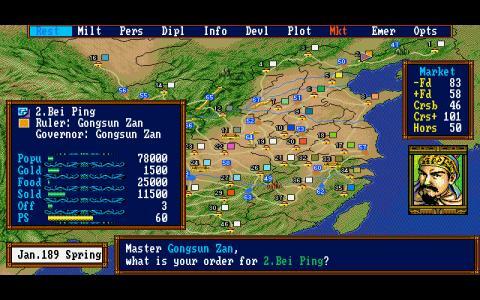 As it always had wanted, this game too, is a retelling of the most important portions of China's history; however, the details are not the ones that count, but the overall power struggle and the way the period was like, more or less. 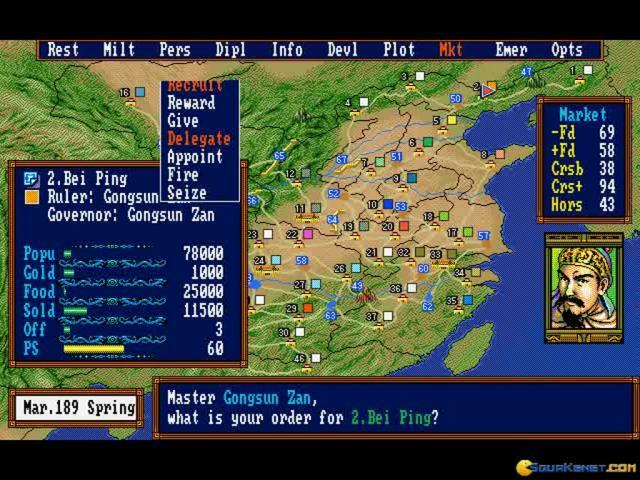 The game is played in turns, and it has an economic, a strategic and even a sort of tactics portion; It's very well polished and the gameplay elements are well chosen, so as to not create any issues in terms of finding exactly the control you require or anything else of the sort. 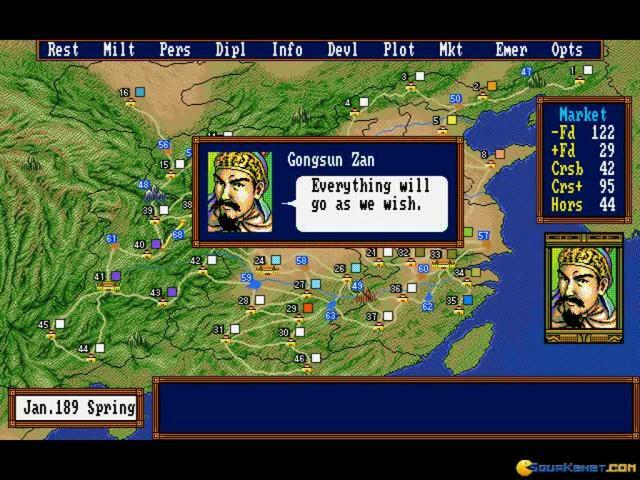 It's a great game, very interesting, and, for the most part, Romance of the three Kingdoms 3 does a great job of it all. 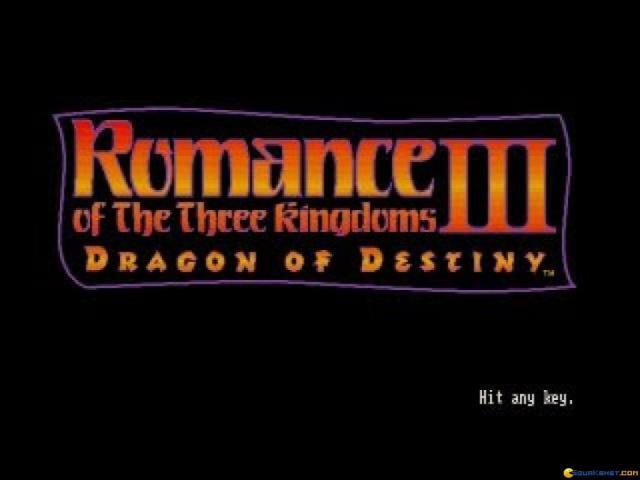 But, nevertheless, Romance of the three Kingdoms 3 is the kind of game that is properly built to offer you a really immersive experience and total control over your action. 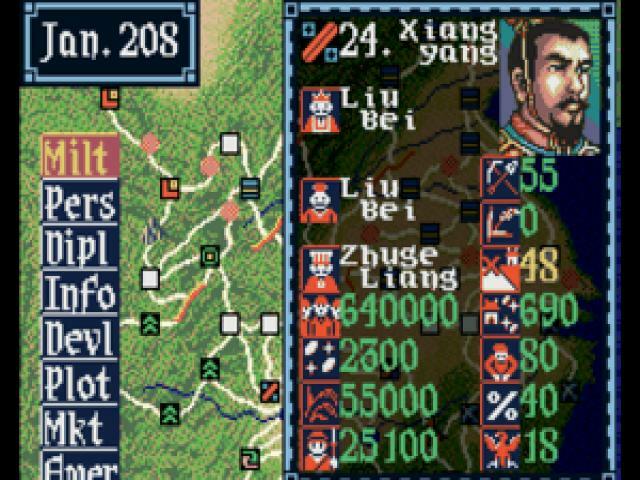 Alliances are super important, knowing whom to challenge and when and whom to ally with is also super important, which is why this game will truly satisfy Chinese history buffs and wargamers alike. 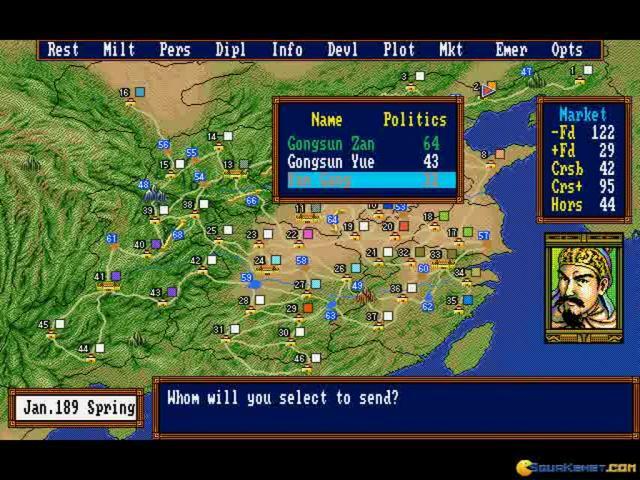 Also, download other Romance of the three Kingdoms games, the entire series is sprinkled with gems and games that are really worth their salt. 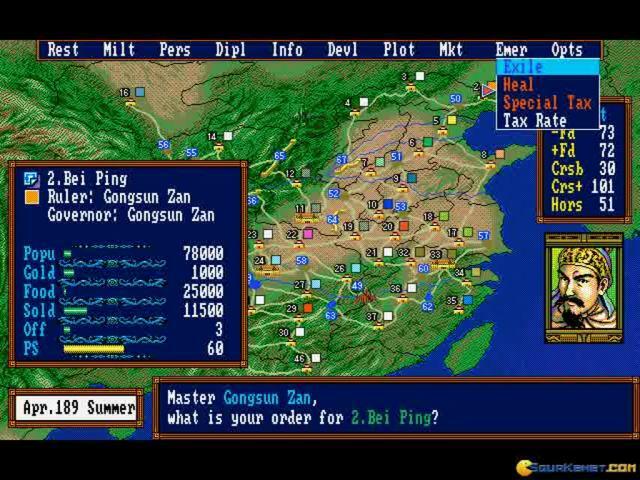 Romance of the Three Kingdoms III: Dragon of Destiny is the third sequel of the strategy series. 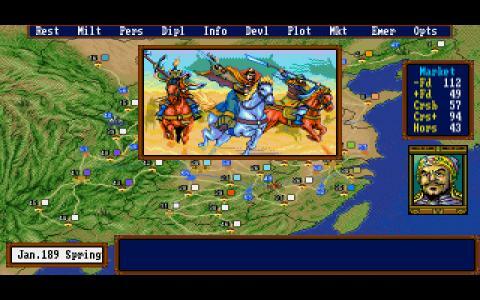 The action takes place in the ancient China and is based on conquering territories. 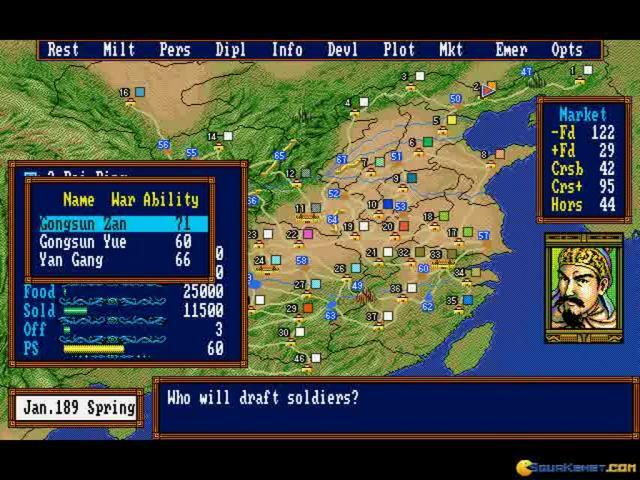 Your main principle is the loyalty, along with the objective of cultivation and training soldiers. Also, the tasks involve economical development. 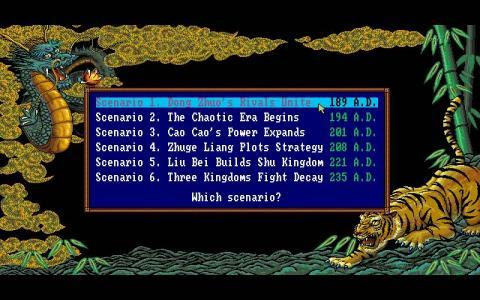 There are six scenarios, and their choise will establish the plan of your world. 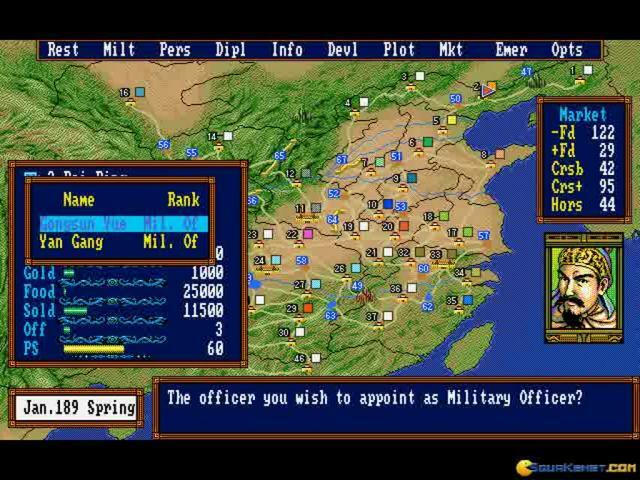 After choosing one of the scenarios, you will have to select your military ruler. 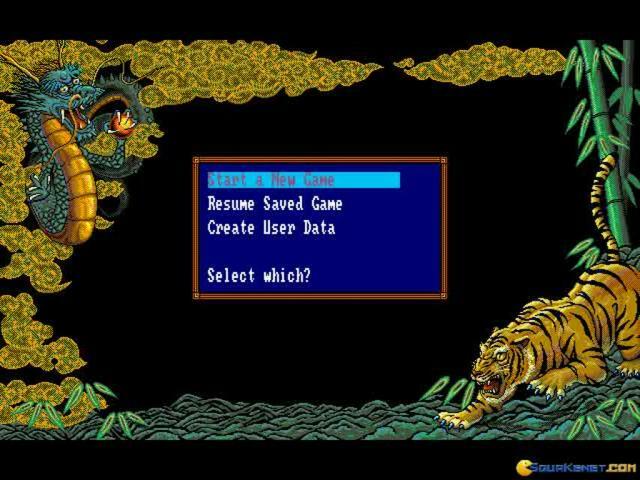 Be careful, the ruler you select will affect the difficulty of the game. 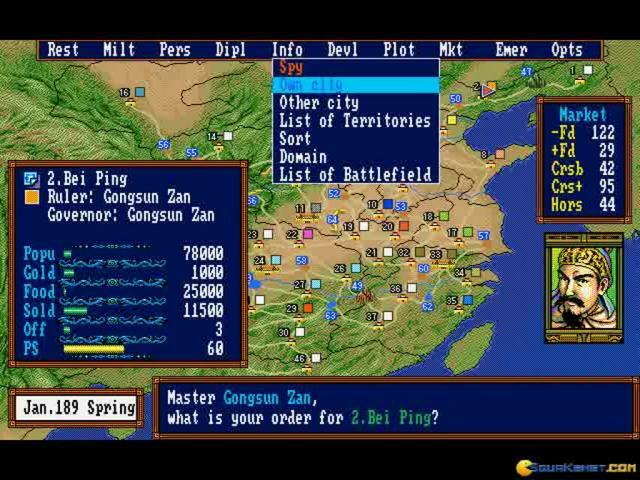 There are a lot of territories and characters in the storyline. 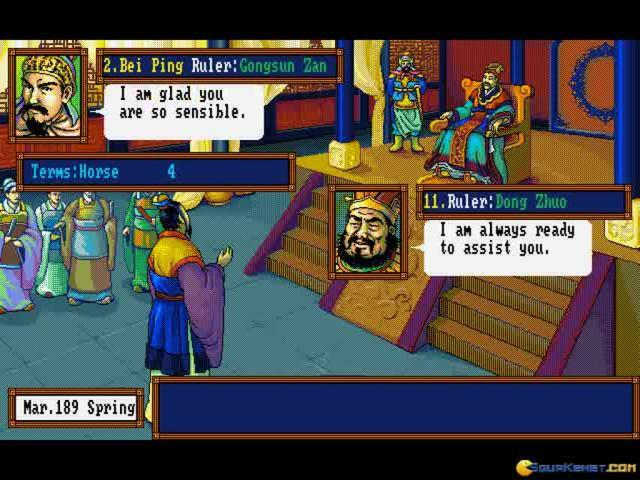 In every city, a counsellor is available to help you in your attempts or progress for managing your kingdom and relations. 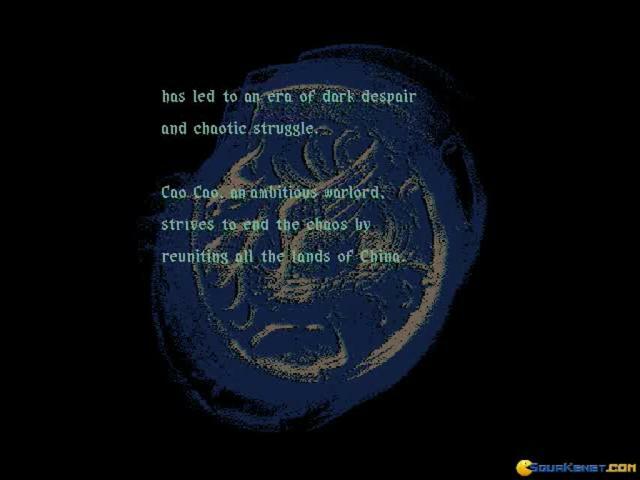 In order to begin in a proper manner, make sure to create alliances, for good support. 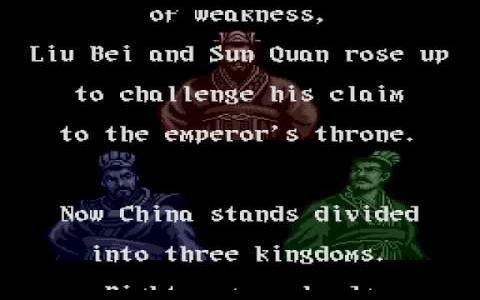 If some alliances are inconvenient for you, just treat the respective people in a menacing way, and the relationship will be cancelled. 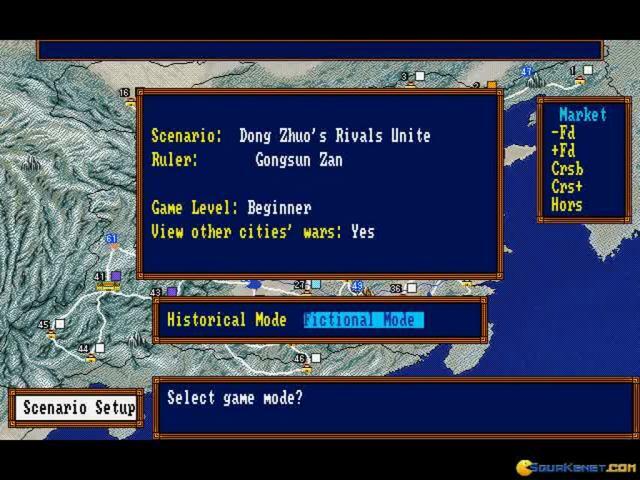 The graphics are decent, so the sounds and music, but this aspect shouldn't influence the smooth running of your strategy missions. If you liked the series of Romance of the Three Kingdoms, this game will also entertain you,but not quite in a spectacular way.